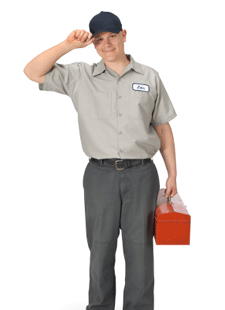 Marathon Water Heaters has been in business for over 20 years. During this time, the company has adapted three different goals, one of the them is to build a water heater that the company can offer a true lifetime guarantee. The second one of their goals was to create the most energy efficient water heaters available in the industry today. The third of the three goals was to keep the water heaters installation friendly by offering lightweight and easy to connect water heaters. Marathon Water Heaters is a subsidiary of Rheem Manufacturing Company, who is one of the most recognized names in the industry. Marathon has a state of the art manufacturing plant located in Eagan, Minnesota. Choosing a water heater is no easy task. Marathon Water Heaters offers some of the best electric water heaters in the industry. All of their water heaters have high energy efficiency and they really can save you money. One of the premier sellers is the Marathon Electric 50 Gallon Water Heater Model MR50245. Let’s take a look at what the MR50245 has to offer. The Marathon MR50245 is a 50-gallon electric water heater with an energy efficiency rating of 94%. This unit is compact in size measuring in at 23-1/2 inches in diameter x 66-3/4 inches in height. The MR50245 uses an electrical supply of 240 volts, single phase with 2 x 4500 Total Wattage. There are 2 heating elements installed in the MR50245 Electric Water Heater. The Marathon MR50245 50 Gallon Electric Water Heater has a first hour recovery rate of 61 gallons per hour. The recovery rate at 90 degrees Fahrenheit is 21 gallons per hour. The temperature range is 90 degrees to 150 degrees Fahrenheit. It has a preset of 120 degrees. When you purchase the MR50245, the unit comes with a factory installed T & P Valve and a Pipe Wrap Energy Saving Kit. The benefits of the MR50245 Electric Water Heater are that it is technologically advanced than some water heaters. This Marathon Water Heater is equipped with their trademarked Envirofoam insulation, this insulation does not include any CFC and HCFC which are ozone depleting gases. The Marathon Electric Water Heater is more environmentally friendly than most water heaters. The unit has a replaceable brass drain valve. The MR50245 has all of the wiring run in conduit for easy installation. 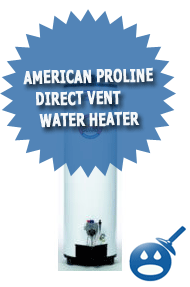 This unit is also a high temperature water heater that is a commercial grade heater that offers more durability. This model has a seamless blow molded tank made from polybutene, it does not require an anode rod that is normally used an anti corrosive deterrent. This water heater has brass union connections that offer easy to install or re-installation procedures. 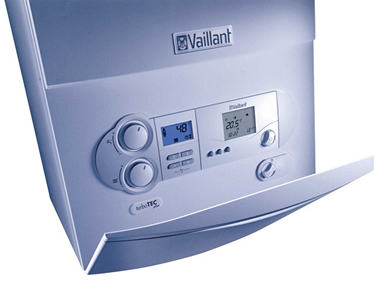 The water heater has a watertight outer jacket that brings reliable service every time. Due to the fact that this water heater does not have an anode rod for corrosion, it is equipped with oversize element parts that are designed for easy to remove sediment build up. The Marathon MR50245 Electric 50 Gallon Water Heater offers a warranty that includes the tank not to leak for as long as you own your home. If you decide to sell your home, the water heater tank will carry a warranty of 15 years from the original date of purchase. The tank will be covered under warranty for 10 years if the water heater is installed for a commercial purpose. All parts are under warranty for 5 years. Since Marathon Water Heaters is a subsidiary of Rheem Manufacturing, anyplace you can purchase Rheem products you will find Marathon. Some other distributors of the Marathon Water Heaters in the United States are Electric Parts, Gresco Supply, Grainger Industrial, Shelter Supply and TEC Utility Supply. For a more targeted search, just log onto Marathon Water Heater website and you can do a search for Canadian Outlets as well as a state-by-state search. Marathon Water Heaters are some of the highest energy efficient water heaters available on the market today. Their water heaters are environmentally friendly and the one of the company’s goal is top make their water heaters easy to install and build to last. Since they are a subsidiary of Rheem/Rudd Manufacturing, they have a great reputation. Marathon Water Heaters are becoming more popular with homeowners as well as commercial applications. If you are shopping for a new water heater, check out the Marathon Water Heaters, you will be surprised at how well they are rated. They come with a good warranty and if you sell your home, the warranty is still in effect for the new homeowners, you will have to read all of the warranty information to see exactly what they cover.